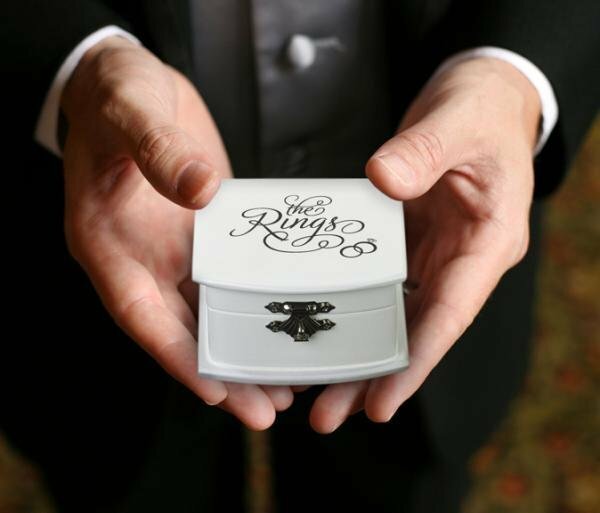 This cute ring bearer box will safely hold your wedding rings as the ring bearer makes his way down the aisle. The ring bow outside has the words "The Rings" and a decorative ring picture on the cover. 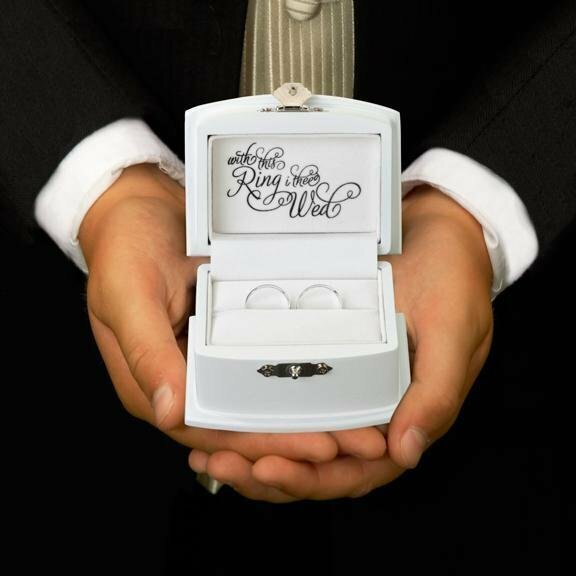 Inside the box the words "with this ring I thee wed" are beautifully scrolled. The white box has a small clasp for easy closure and measures 9 cm x 7 cm. 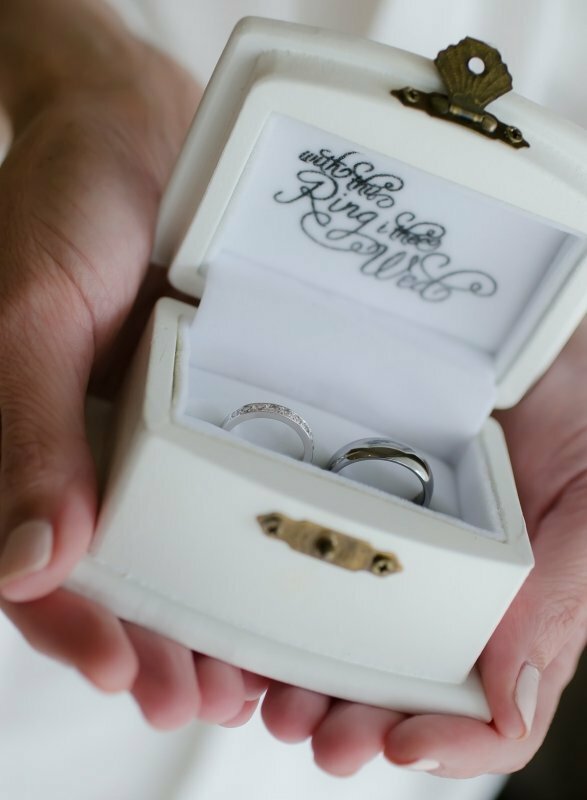 A ring box is a unique alternative to a traditional wedding ring pillow. Great product and fantastic service from Nicole.